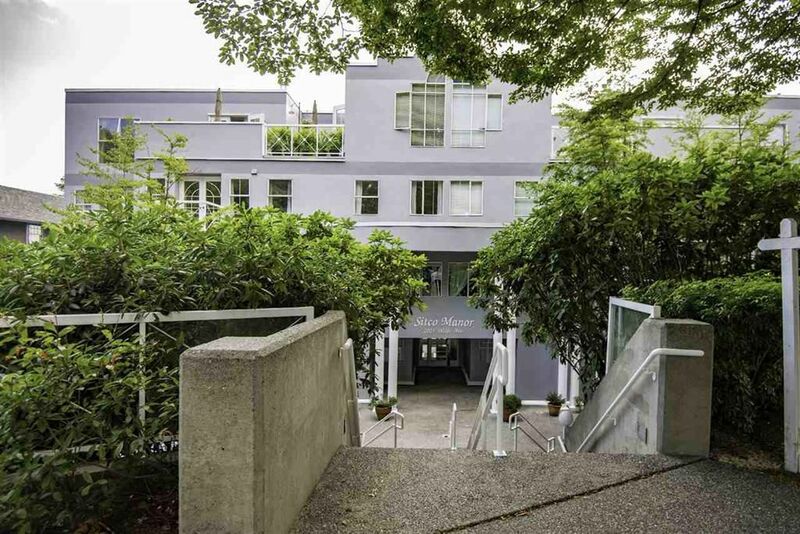 The perfect suite-spacious, QUIET, WEST facing over-looking a lovely tree-lined street and elegant Shaughnessy homes. 2 bdrms, 2 full bthrms, 2 pking, recent Renovation - done with permits -large open kitchen w/ breakfast counter into living area. Quality bamboo floors, radiant heat and cozy gas fireplace. King sized master bdrm w/ walk-in closet and huge ensuite bathroom w/ soaker tub and separate shower. Pro-active strata, roof (2009). Prime location, easy walk to Douglas Park, good schools, King Edward mall, S. Granville shops, Vij's restaurant, quick to dwntwn and 10 mins to airport.Easy to show and sell, ready for quick possession. Rentals at Max (2), 1 dog OK up to 14' tall at shoulder, 2 cats ok.